General Motors Co. will not ask for government money to back a $554 million investment the company agreed to make in Ontario during 2016 contract negotiations with Unifor. Instead, the automaker left the door open to government financial assistance at a later date. The automaker’s decision to forgo available government money comes little more than a month after the federal government announced that the Automotive Innovation Fund (AIF) would be changed to allow non-repayable grants to automakers investing in Canada, rather than just loans. 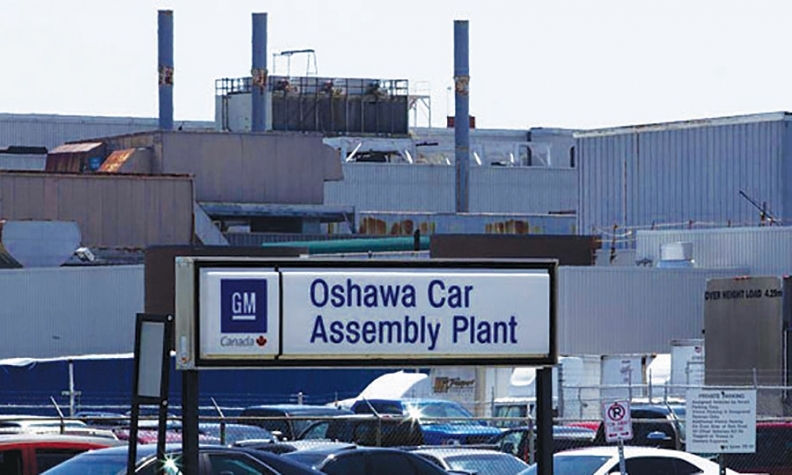 During contract talks with Unifor in September, GM committed to spend the $554 million on three plants: Oshawa, Ont., assembly plant; St. Catharines, Ont., engine and transmission plant; and a parts warehouse in Woodstock, Ont. The Globe and Mail was first to report that the automaker would pay for all the work itself, which GM confirmed to Automotive News Canada in an email. “We are proceeding with these projects,” GM Canada spokeswoman Jennifer Wright said. Carlisle told the Globe and Mail the company decided it wasn’t necessary to ask for financial assistance for any of the upgrades, but that any future projects would be eligible for assistance. That’s only if they qualify under the new AIF guidelines. For example, to qualify for a grant, a project must “secure existing facilities into the future, which means the investments are necessary to secure globally significant mandates (immediately or in the future) that will serve to anchor facilities over the longer term (10 or more years),” according to the AIF website. Honda was the first to cash in on the new AIF rules on Jan. 9, receiving $41.8 million to help pay for a $492-million upgrade at its Alliston, Ont., facilities. It received the government support because its new paint shop will reduce pollution by up to 44 per cent and the AIF is designed to encourage green technology in both the manufacturing process and the vehicles automakers produce.